The Deep Sweep launches 1 and 2 from CriticalEngineering on Vimeo. 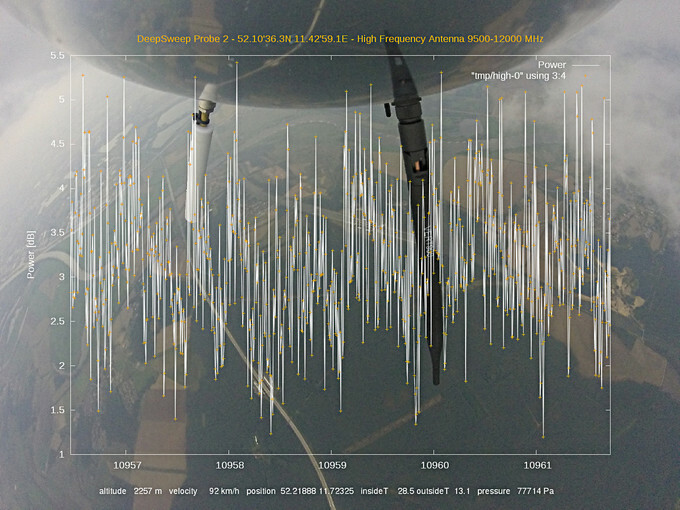 The Deep Sweep is an aerospace probe scanning the otherwise out-of-reach signal space between land and stratosphere, with special interest placed in UAV/drone to satellite communication. 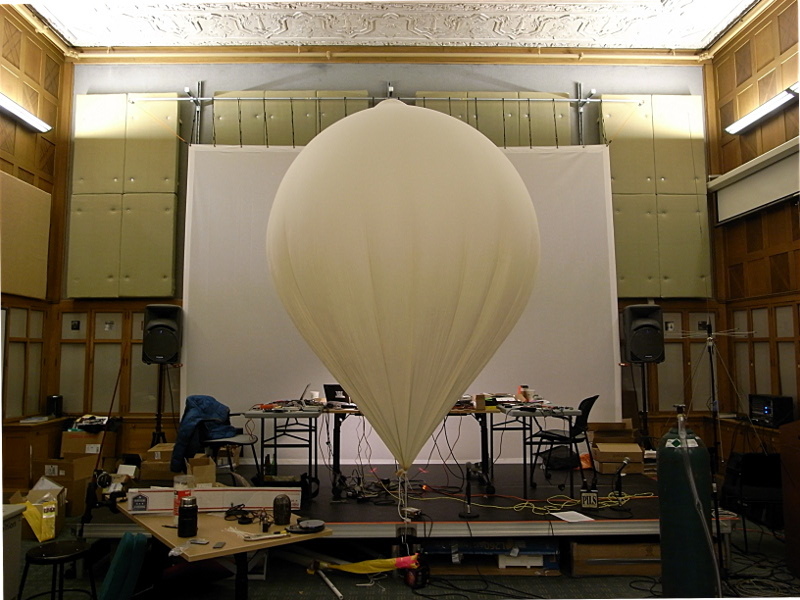 Taking the form of a high-altitude weather balloon, tiny embedded computer and RF equipment, The Deep Sweep project is being developed to function as a low-cost, aerial signal-intelligence (SIGINT) platform. Intended for assembly and deployment by public, it enables surveying and studying the vast and often secretive world of signal in our skies. Two launches have been performed so far, from sites in Germany, landing in Poland and Belarus respectively. The artists intend to make many more, in Europe and beyond. During the ascent the probe sweeps for signal. 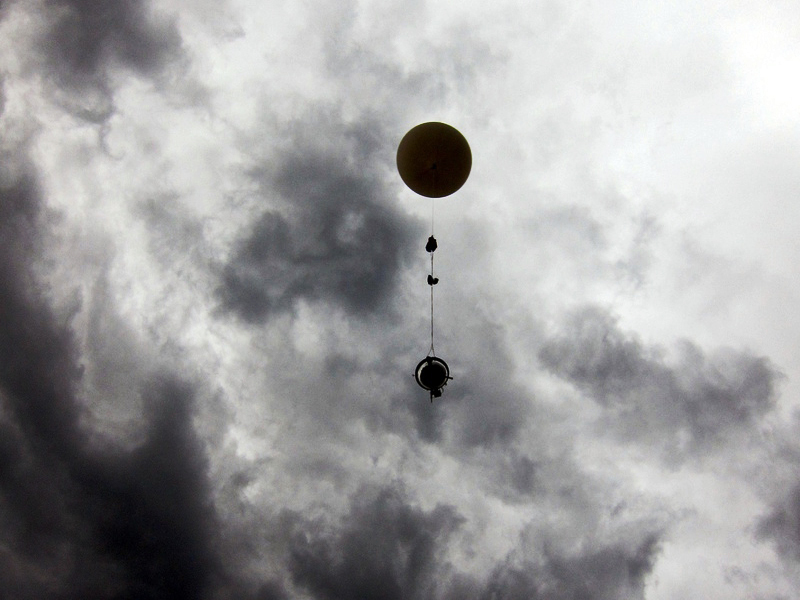 As air grows thinner the balloon expands, finally bursting between 24 and 30 kilometers above the Earth. At this point a parachute is enacted and the balloon descends. When the tracker is within reach of GSM networks it sends SMSs reporting its location, and so the challenge of finding it can begin. No collected data is sent live mid-flight – aerial transmission is detectable and illegal at the speed we require it, reserved for military and aerospace use. Rather, data is extracted from the probe on recovery. All data captured is stored in open formats suitable for both data visualisation and signal analysis. The acrylic shell is chosen for its aerodynamic and radar-reflective properties. It was built from two ‘fisheye’ surveillance mirrors. This is significant for us. This project was initiated at a residency at the Frank-Ratchye STUDIO for Creative Inquiry at Carnegie Mellon University, in partnership with the CyLab Usable Privacy and Security (CUPS) Laboratory at CMU, and made possible through support from The Andy Warhol Foundation for the Visual Arts.